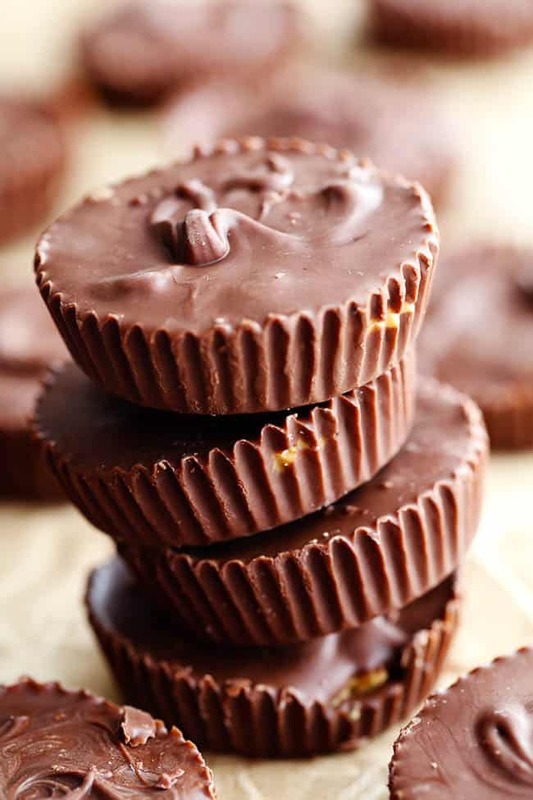 Reese’s Peanut Butter cups are my jam. Hands down the first candy that I pick out of the Halloween bag. Love the peanut butter and chocolate combo. You can find Peanut Butter Bars or even Reese’s Peanut Butter eggs on the blog and they are my favorite treat! We had so much fun making these on Friday night together. I had all of the ingredients on hand! And the best part is that we put them together in just 15 minutes. The result was even better than expected! Dare I say that that these are even better than the real thing!? Because they ARE! The peanut butter center is out of this world. I could have eaten the peanut butter center by the spoonful. It is so good! 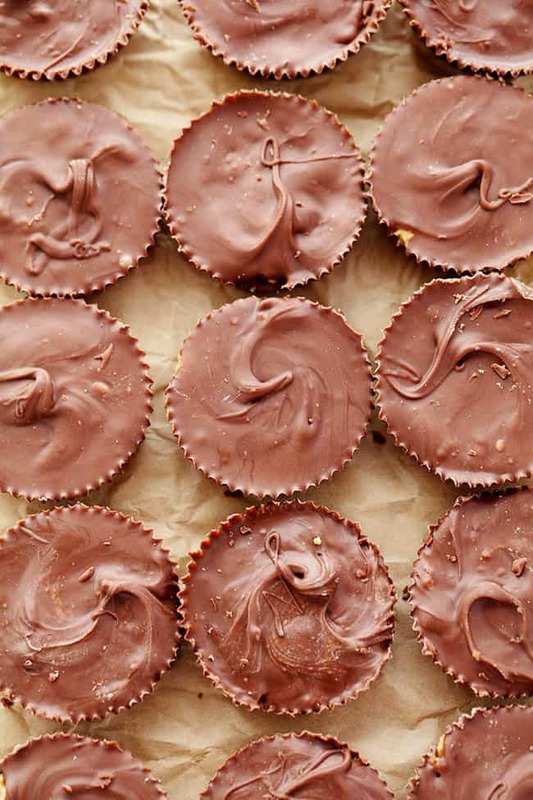 You just have to line the cupcake liners with melted chocolate, follow it with the delicious peanut butter center and top with the rest of the melted chocolate. These are so easy! 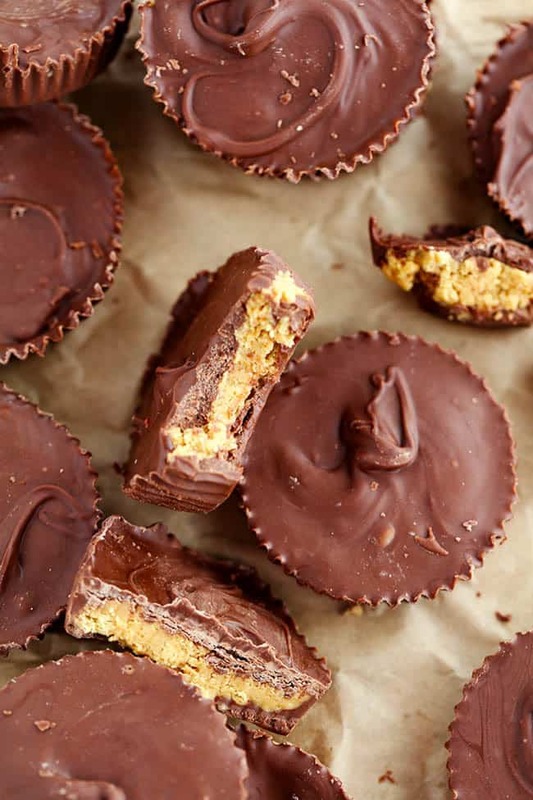 I am warning you that if you love peanut butter cups as much as I do, you won’t be able to stop eating them! They taste so much better homemade and they are fun to make! 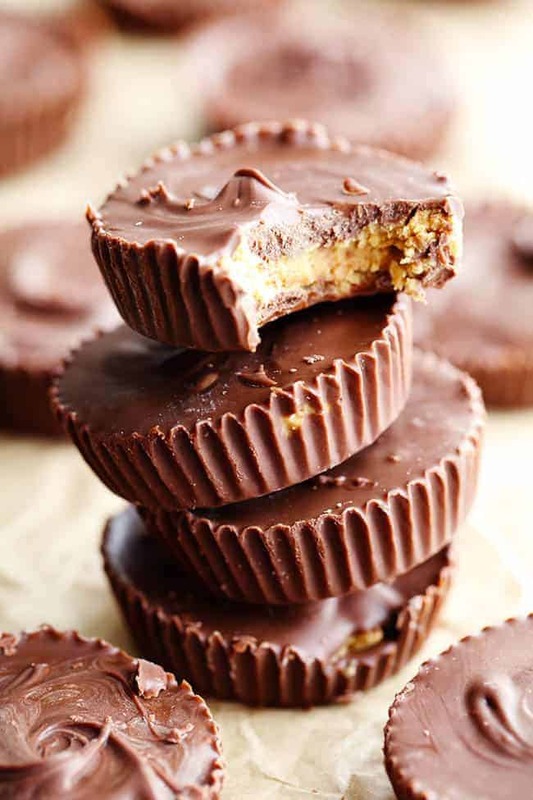 You are going to love these Homemade Reese’s Peanut Butter Cups! I love things that are easy and fun to do with the kids! These look dangerously delicious! It should read: Lastly add a heaping teaspoon of the melted chocolate and spread evenly over the peanut butter layer. 1 graham cracker sheet is roughly 14 grams. A heaping teaspoon of the melted what? Lastly add a heaping teaspoon of the melted PEANUT BUTTER to the chocolate and spread evenly over the peanut butter layer. Refrigerate for about an hour until set and firm. In the ingredients list, it is the only thing that is melted. Would love to try this recipe ~ if it included all ingredients. And I see people have been asking about it for awhile. “add a heaping teaspoon of the melted” ??? Let’s see…melted chocolate on the bottom, peanut butter mix in the center, and top with melted….chocolate. My peanut butter center mix was so dry I ended up adding butter and butter and butter and still so dry I added peanut oil a couple times and then it finally mixed and held together but doesn’t taste as peanut buttery as I’d like. If you don’t have the grain crackers and/or powdered sugar, or don’t have time to get it, you can always use the peanut butter by the brand-name call the Jason’s ( I found mine at Target). That peanut butter tastes amazing, and I think it has a few other ingredients, yet healthy ingredients, that give it a different type of a good peanut butter taste that is different from regular peanut butter. My first thought was that I was eating peanut butter with crystals in it (not that there are crystals in it, it just tasted so good and that was my first thought). I made this recipe with Jason’s and I also used the white chocolate chips instead. 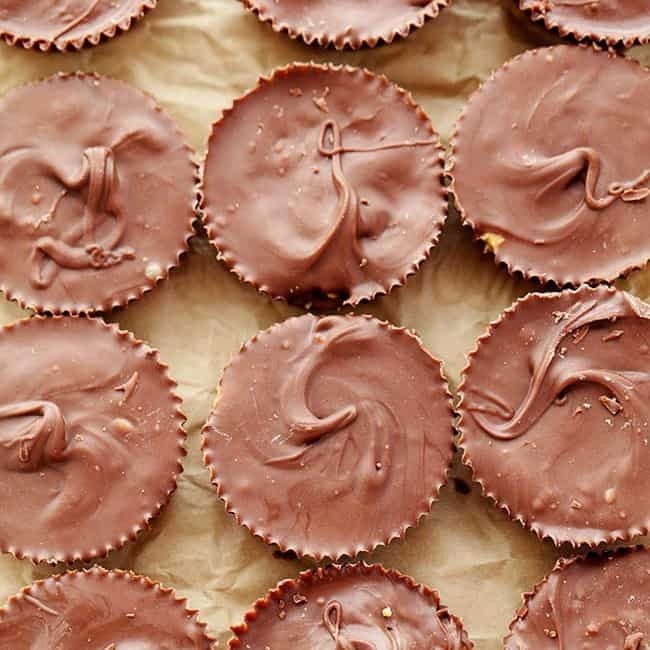 These little peanut butter cups flew off the plate! Needless to say, people ate them up so quickly, FYI, it’s just an alternative to the actual recipe if this suits you. Has anybody tried making these with a sugar substitute? Just curious. I’m going to make both the graham cracker version and the ground oats version another reviewer suggested. Can’t wait! Instead of melting PB, can you substitute it with PB Fit instead? Do you use an all natural peanut butter? Would Kraft of Jif brand be okay? I want to make these today. I only have boxed graham cracker crumbs. How much will equal a sleeve of crackers in your recipe? Also, other similar recipes call for adding coconut oil to chocolate chips. Is that necessary? What is considered a sleeve? How much is this if the crackers are crushed? Yes, 1 sleeve is 10 sheets of graham crackers and then you would crush them up. I have graham cracker crumbs in my pantry. Can I use them in the peanut Butter cup recipe? And, how much should I use? 140 grams is the equivalent of about 10 graham sheets. 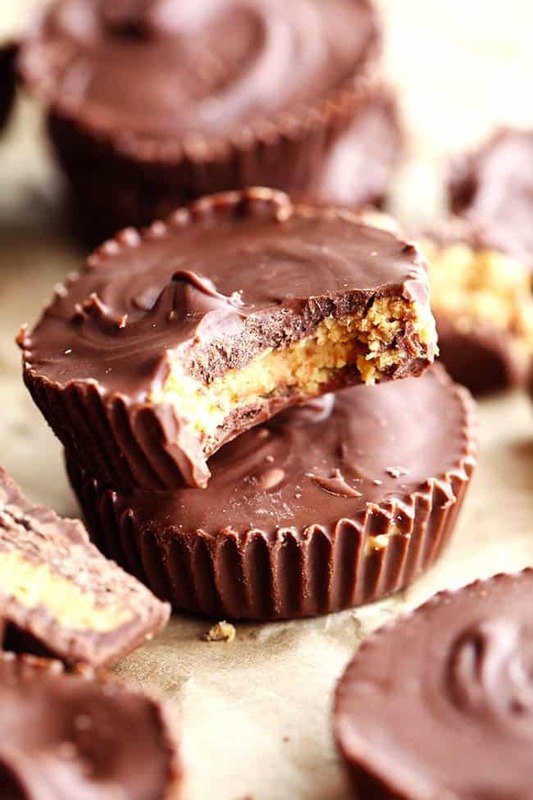 I don’t understand why graham crackers are in a homemade Reeses Peanut Butter Cup recipe. I promise I’m not stupid, but I don’t understand why graham’s are included. I will admit I can’t read the tiny print on the Reeses peanut butter cups, so if it is an ingredient I never knew it was. You are welcome to try it with the Ritz crackers. That will give it a more buttery taste. Let me know how it turns out and what you think!